Researching top security companies can be tough. Our review makes it easy to compare systems and find the best home alarm system for you. Our top picks for the best home security systems have had quite a shake-up since last year. 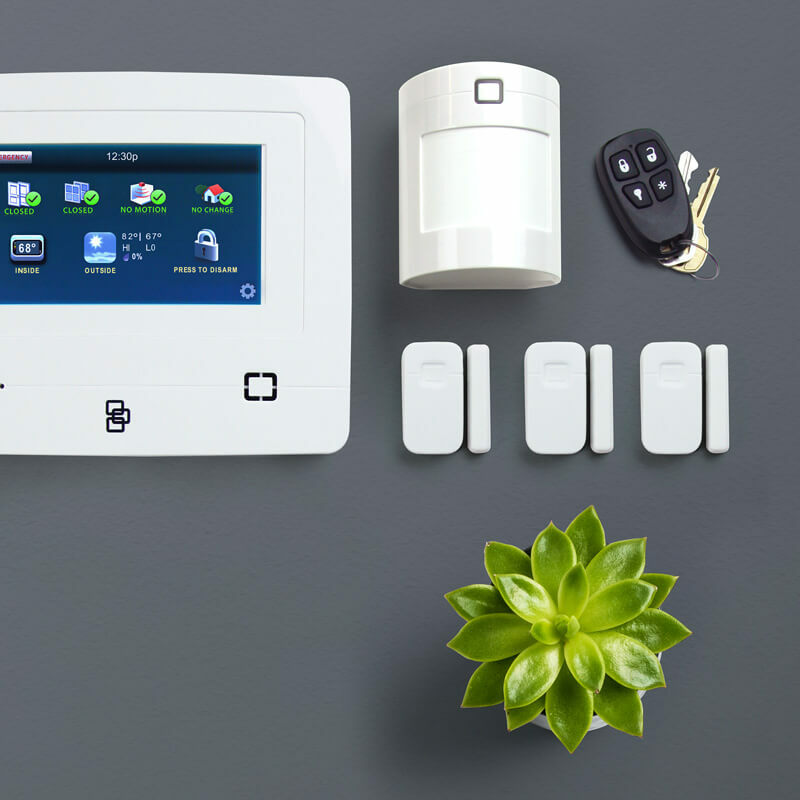 We’ve seen so many companies upgrade their equipment or add in new smart home features that we had to take a totally new look at the alarm systems out there. But good news: we’ve done all the hard work for you and we’re back again with the best home security options on the market. Whether you want to turn your house into a robot home of the future or you just want people to stop stealing your Amazon packages, we’ll help you pick the right system. Data effective 12/17/2018. Offers subject to change. * Self-monitoring is free, but professional monitoring costs extra. Vivint kept its top spot this year. It’s still the best option if you want a powerhouse combo of home security and smart home devices. Vivint is the champagne of home security systems. It makes high-end equipment, it offers a bunch of smart home devices, and it’s ahead of the curve when it comes to innovative features. You know your neighbor who always has the latest and greatest of everything? Yeah, they have a Vivint system. For all its fancy new tech, Vivint is a pretty traditional security provider. It offers only professional installation and its equipment is not some lightweight keypad you pull out of a box. Vivint equipment is sturdy, and once it’s in your house, it’s gonna stay there awhile. Sorry, renters; if you move a lot, then Vivint might not be the easiest choice for you, but there are some super-portable security options out there. 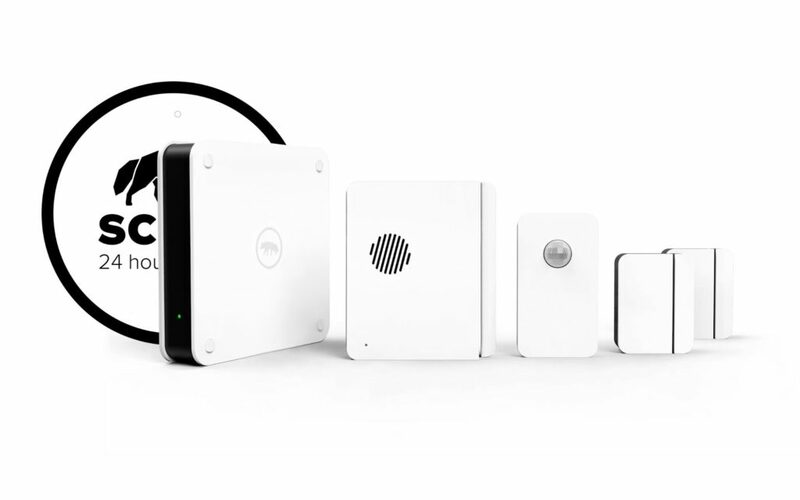 But if you want a home security centerpiece that will stick around, Vivint’s an easy pick. 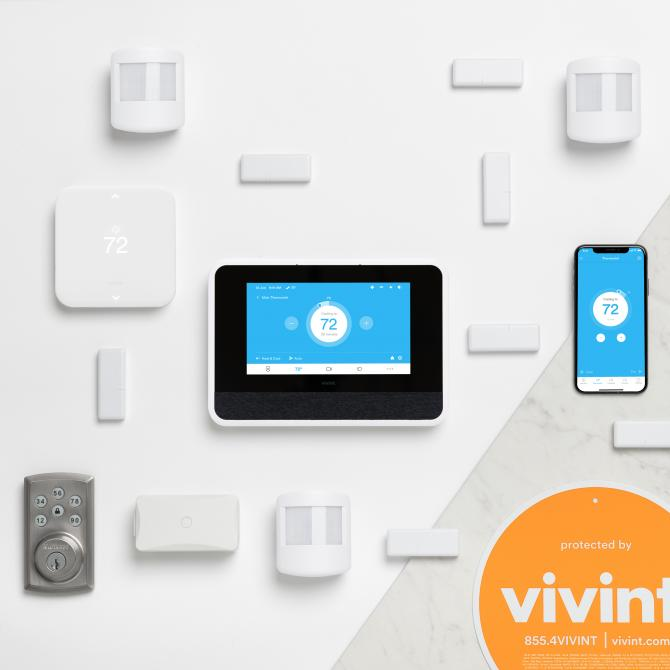 If you want to control everything—from your lights to your thermostat and your garage door—all from your phone, then Vivint’s smart home integrations will serve you well. Vivint lets you automate almost anything you want to. You can even turn off your curling iron from your phone with one of Vivint’s smart outlets. Plus, Vivint’s systems work with Amazon Alexa and Nest, so you don’t have to ditch your favorite smart thermostat. The main downside with Vivint is price. Not so much its monthly plans—those are on par with other companies—but Vivint doesn’t offer a ton of equipment discounts. And if you want to finance your equipment, you’ll have to sign a 3- or 5-year contract. You know that door-to-door salesperson that comes around trying to sell you on a Vivint system? Yeah, you should call in instead. Vivint’s had some complaints in the past about its door-to-door sales processes. You know the name for a reason. ADT Pulse gives you the most trusted name in home security plus total home automation and control. You pay for a professionally monitored security system because you want peace of mind. But it’s not great peace of mind if your security provider has only one call center and a single bad storm could put it out of commission. ADT has more monitoring centers than anyone else, which means nothing short of an outright zombie apocalypse will put your system at risk. 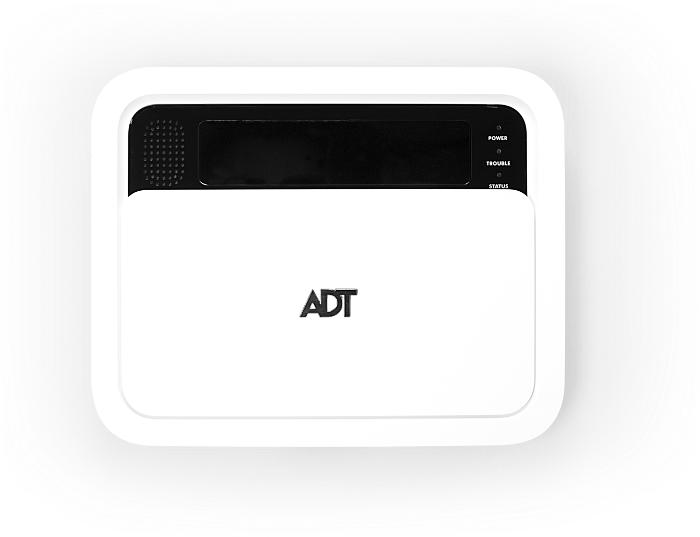 Like Vivint, ADT’s Pulse plans have all the smart home integrations your automation-loving heart could want. ADT has plans other than Pulse that don’t offer so many smart home features, and we really don’t recommend them. If you want the best, then ADT Pulse is where it’s at. ADT Pulse plans are some of the most expensive we’ve seen. Its equipment prices are about the same as everyone else’s, but those monthly monitoring prices will deal a serious blow to your wallet. You just have to decide if it’s worth it. Strapped for cash? We love SimpliSafe’s affordable take on home security. Just don’t expect a lot of smart home stuff. SimpliSafe is the opposite of a traditional security provider. It lets you order online, it has you install the equipment yourself, and it doesn’t charge you an arm and a leg for professional monitoring (or equipment either, honestly). 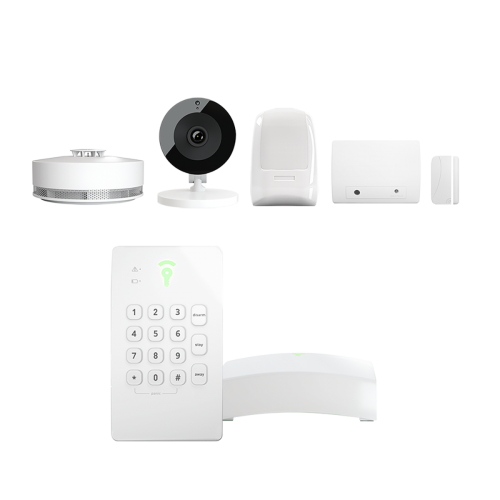 * SimpliSafe cameras work as standalone devices. Have you always wanted a security system but would rather eat fire ants than pay those massive monthly monitoring bills? SimpliSafe to the rescue. If there’s one thing you can say for SimpliSafe, it’s that it’s a cheap DIY system. You’ll pay way less for SimpliSafe equipment than you would for something like Vivint or ADT. Plus you can get professional monitoring (where someone calls you if an alarm goes off) for as low as $14.99 per month. That’s a pretty good deal in our book. We tested out a SimpliSafe system ourselves and had it up and running in about an hour. The new equipment (SimpliSafe upgraded it in 2018) looks way better than the old stuff and we felt good about displaying the hub on our kitchen counter. If you’re a home automation junkie, then skip the SimpliSafe system. 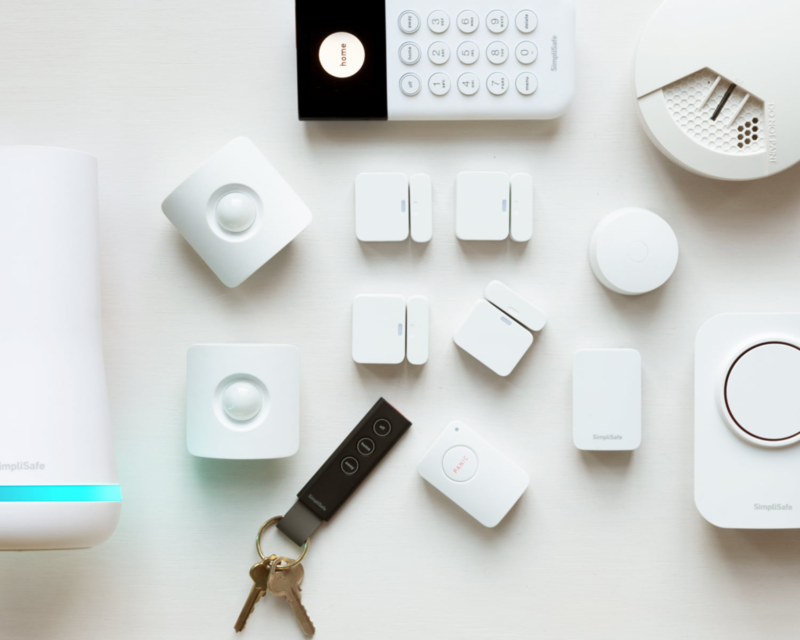 SimpliSafe is slowly adding in more smart home options, but in the meantime, it doesn’t have Z-Wave or Zigbee, it doesn’t work with any IFTTT devices, and its integration with Amazon Alexa and Nest products are pretty sparse. If you want to keep it DIY but add more home automation, Abode, Frontpoint, or Nest Secure will work better for you. Prefer a total DIY approach? 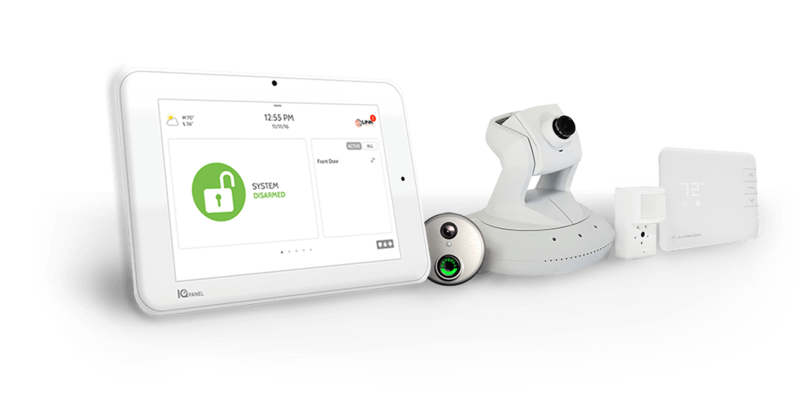 Abode lets you monitor your security system yourself without paying a monthly fee. 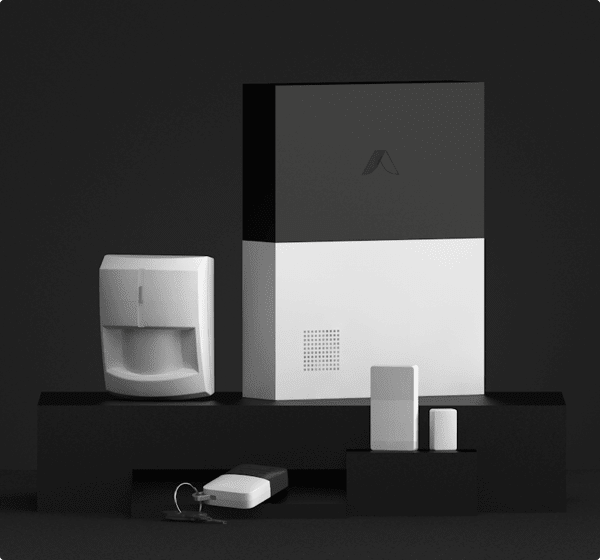 If you just want some standard security equipment and don’t want to deal with contracts or paying for monthly monitoring, then Abode is a DIY dream. It gives you affordable security equipment you can monitor yourself from your phone. * Self-monitored only. No professional monitoring. ** Abode’s camera does not require a plan subscription. Most security providers make you pay a monthly fee for something. Whether it’s professional monitoring or just access to its mobile app, it’s hard to escape the monthly fee trap. Want professional monitoring, but only sometimes? Abode is the only security provider we’ve seen that offers temporary professional monitoring. Normally, you either have professional monitoring all the time or you don’t have it at all. But Abode lets you sign on for professional monitoring for short stints (3 or 7 days). Next time you go on vacation, you can let someone else keep an eye on your system. If you don’t want a full-on indoor camera but want to see what’s going on when an alarm goes off, then Abode’s motion detectors are perfect for you. They’re a motion sensor/camera combo that automatically take three pictures when they detect movement. So you can see if that alert is just because your dog jumped on the couch or if it’s actually something you need to worry about. Abode makes an indoor camera, but its quality isn’t the best. The live-streaming can be a bit glitchy and the image isn’t super clear despite the little cam having HD vision. Not our top camera pick. Abode does not include a keypad in its starter equipment pack. (It sells them à la carte.) You can use the system without one, but it’s easier if you just buy one as an add-on. Frontpoint overhauled its security equipment this year and we like the new look—and the fact that it’s backed up by excellent customer service. Plus, with Frontpoint’s new system, you also get Frontpoint’s consistently good customer service. 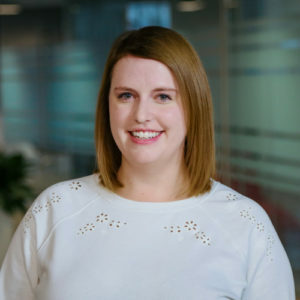 We’ve had consistently positive experiences with Frontpoint’s customer service team, and we’re not the only ones. Frontpoint’s constantly topping home security lists for best customer service, and it has top ratings from organizations like the Better Business Bureau1 and TrustPilot2. Frontpoint’s equipment line is designed so that you can add in smart home devices and still keep your system secure. Frontpoint’s new hub is encrypted and has cellular backup, so your system stays protected all the time. We’ve seen this kind of equipment from other companies like Abode. Frontpoint is just jumping on a growing trend. Despite its edgy new look, Frontpoint is still a traditional home security company. Its professional monitoring plans are pretty pricey and you have to sign a 3-year contract. Frontpoint’s not the only one that does this—other security companies, like ADT, also require some kind of contract. But considering you can get the same style of equipment from a contract-free company like Abode, Frontpoint’s stuff is a bit too standard for us to think it’s worth the commitment. It’s a solid system, but we’d like to see Frontpoint ditch the fine print. Nest’s security system is beautiful to look at and has some cool features. Nest Cam fans, this one’s for you. First of all, let’s admit it: Nest products are just pretty. They’re nice to look at and they’re usually nice to use, and Nest Secure is no different. 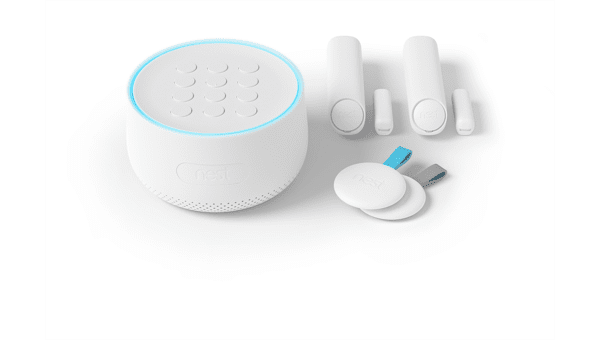 Nest Secure has pretty innovative devices. It gives you little key tags you can use to turn the system on and off so you don’t have to fiddle with a key code or your phone. It also combines motion detectors with its door and window sensors so you get a two-in-one device. If you already use Nest products, like Nest’s smart thermostat, Nest IQ Cam indoor or Nest IQ Cam Outdoor, then Nest Secure will fit nicely into your existing system. Unfortunately, Nest Secure is uber expensive for what you get. You’ll pay hundreds of dollars for just a few pieces of equipment. Nest Secure also keeps its system exclusive. That’s a nice way of saying it doesn’t integrate with a lot of other smart home devices, which is pretty annoying. Learn more in our in-depth Nest Secure review. Protect America backs up its equipment with a lifetime guarantee. Plus, it has super affordable basic packages. Protect America gives you a lifetime guarantee on its equipment, and it lets you install everything yourself. The equipment itself is pretty standard, but it’s easy to put together. And, if you don’t want to pay a super-high monitoring price, Protect America has landline plans starting at $19.99 per month. If you want to go with Protect America, we recommend a broadband or cellular plan over the landline options. Link Interactive’s equipment is pretty standard, but it carries more types of security devices than anyone else we’ve seen. If you want some super-special or particular security device, like a gun lock or a stovetop sensor, then Link Interactive is the place to go. It carries more types of home security devices than any other company we’ve seen. No matter what you want to secure or lock down, Link Interactive can probably help. Link Interactive also helps you add in basically whatever third-party devices you want. Its reps will even help you figure out how to install the smart lock you bought on Amazon. Link Interactive can be compared to most security companies. And that’s our only real complaint—there’s not much about it that stands out from the crowd. Because Link Interactive uses third-party equipment, you can get the exact same system from other companies. We recommend going with whatever company gives you the best deal with the best support. Sometimes that’s Link Interactive and sometimes it’s not. Brinks also offers standard equipment, but its alert features set it apart. 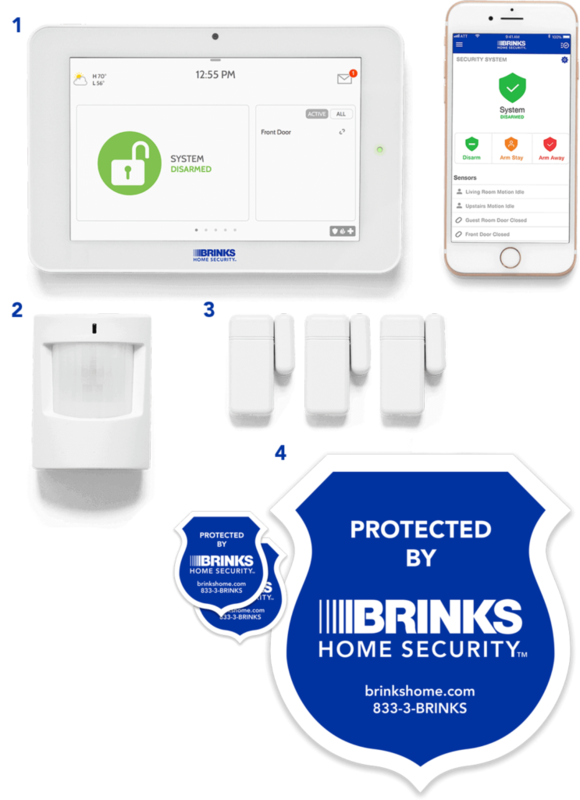 Just like Link Interactive and Protect America (among others), Brinks Home Security uses third-party security equipment. That’s fine with us—it just makes it harder to stand out from the crowd of other companies who use the same stuff. Brinks does have a couple of features that set it apart. First of all, we like that its monitoring centers can call, email, or even text you if an alarm goes off. (A lot of other companies can only call.) Brinks also gives you a group chat feature that lets you message everyone on your emergency contact list at once to check in. Brinks used to be two separate systems known as MONI and LiveWatch. Those systems merged together in 2018 to make a single system: Brinks. Brinks does make you sign a contract for professional monitoring, which is a bummer. But Brinks also has a longer cancellation period than a lot of other companies (30 days when most companies limit you to three). 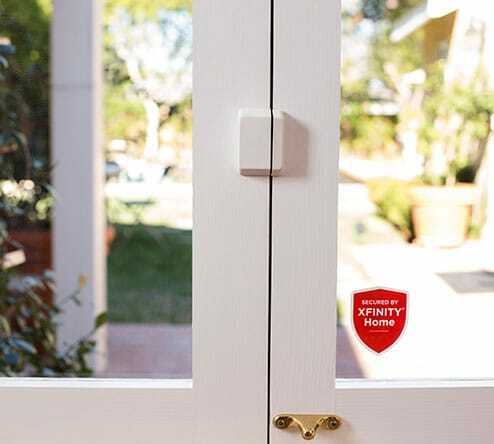 Xfinity Home lets you bundle your cable, internet, and home security into a single bill. Plus, you can bring your own equipment. * Not including first-year intro offer for qualified customers. If you already have Xfinity cable TV or Xfinity internet, then it’s easy to add on an Xfinity Home system. It lets you keep everything on one bill and you might even get a couple discounts. We also like that Xfinity Home lets you use equipment you already have, as long as it’s compatible with its system. Like most things Comcast, Xfinity lures you in with an intro price and then jacks the price up after the first year—all while you’re locked into a 2-year contract. That’s not fair, Xfinity. We’d rather have transparent pricing up front. Ring Alarm is super affordable, but it can’t talk to your Ring cameras just yet. 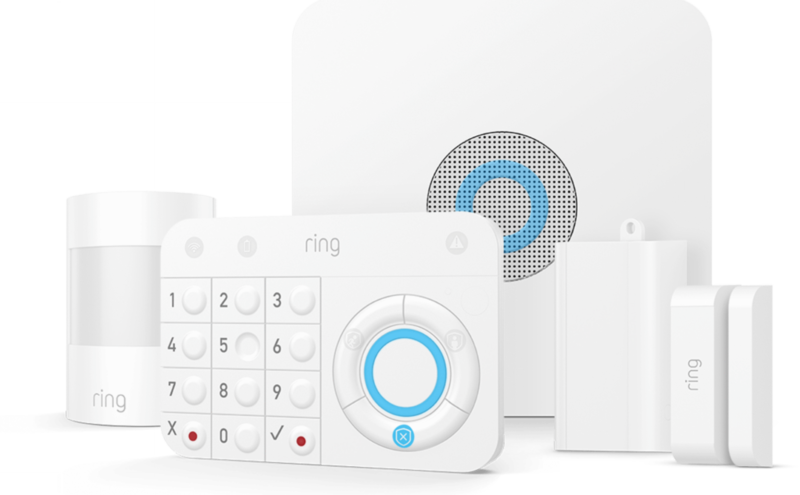 Ring Alarm is one of the most affordable security systems on the market, and it does have some Z-Wave and Amazon Alexa integrations. The big, big downside for us is that the Ring security system doesn’t really work with your Ring cameras—yet. For example, if your Ring Alarm detects an intruder, you might want your Ring security cameras to turn on automatically and record what’s going on. But there’s currently no way to set up actions like that. Ring says it’s working on that function and, eventually, your Ring Alarm system and your Ring cameras will work together. But for now, there’s no such luck. This system is brand-spankin’ new though, so we anticipate it ranking higher on our list next year when Ring finishes getting its features figured out. Scout Alarm has great smart home integrations, but its service is a bit unpredictable. Scout Alarm actually has a nice little system. Its equipment has both Z-Wave and Zigbee capabilities, and it’s easy to install and use. Our only issue is that Scout’s service is a bit inconsistent. For example, the wood color for its equipment was discontinued months ago, and yet it’s still all over Scout’s website. There are two parts to how much a home security system costs: equipment and monitoring. Equipment includes things like your door and window sensors, motion sensors, control panels, etc. The cost totally depends on which provider you choose, but expect to pay a few hundred dollars for a basic package. We’d consider $200 to be cheap for a small starter pack of home security equipment. If you can’t afford to pay for all of your equipment up front, that’s okay. Most companies offer some kind of financing option where you can pay for your equipment over the course of your contract. Contract-free systems like SimpliSafe and Abode don’t usually offer financing. Should I choose a DIY or professionally installed security system? When to choose DIY: When you don’t want to have to pay an installation fee (which usually runs around $100, sometimes more). Also, when you want to spend less money on equipment. DIY systems tend to cost less than professionally installed ones. When to choose professionally installed: When you want to know for sure everything will be done right the first time around. If technology isn’t your favorite thing, it might be easier for you to just let the professionals handle it. Professional installations also come with an in-home consultation where the technician will help you assess which parts of your home could be potential targets. In-home consultations are sales opportunities for your security company. These consultations can be super helpful, but they can also sell you on a bunch of equipment you didn’t think you needed (and probably still don’t). Should I choose a self-monitored or professionally monitored security system? We almost always recommend paying extra to get the professional monitoring for your security system. Who knows when your alarm system will go off and you won’t be paying attention to your phone. These things happen fast, so it’s better and easier to have someone watching your system 24/7. That said, professional monitoring does cost extra and some people just don’t want that monthly bill. If you really want to self-monitor, great. But if you’re just worried about the cost, we recommend looking into low-cost plans like SimpliSafe’s or Scout Alarm’s. This totally depends on your house. If you have 15 doors and a million windows, then you’ll need much more equipment than someone who lives in a studio apartment. It also depends on how secure you want your house to be. You don’t have to cover every conceivable entrance to still be protected. When you think about how much equipment you’ll need, you should also think about which home automation devices you want, whether you want to invest in something like a video doorbell, and which disaster-prevention devices you’ll need (like smoke detectors, CO sensors, and flood sensors). How do I set up a home security system? If you choose a professionally installed system, then just sit back and let the experts get to work. If you choose a DIY system, then your equipment will arrive in a box along with instructions on how to set everything up. DIY systems are usually easy to install. If you run into any questions, call the company directly. There’s usually a representative ready to help you put the system together. Should I get a security camera package? Security cameras can be a nice extra burglar deterrent, but most people don’t really need them if they already have a security system. If you don’t want to spring for an entire security camera package, then consider just getting a doorbell camera. Indoor cameras can also come in handy for keeping an eye on your kids and pets. How do I build a smart home? Once you have your hub, you can add in whatever you want, including smart locks, smart lights, smart wall outlets, and smart garage door openers. If you can link all your smart home devices into a voice control unit, like Amazon Alexa or Google Home, then that’s even better. While you’re on the hunt for a security system, keep in mind that it matters where you live. When you think crime, big cities like New York and Los Angeles come to mind. And maybe for some types of crime, that’s fair. But if, more than anything, you just want to keep your house safe from burglars or protect your investment property? When it comes to property crime, your city’s stats might surprise you. 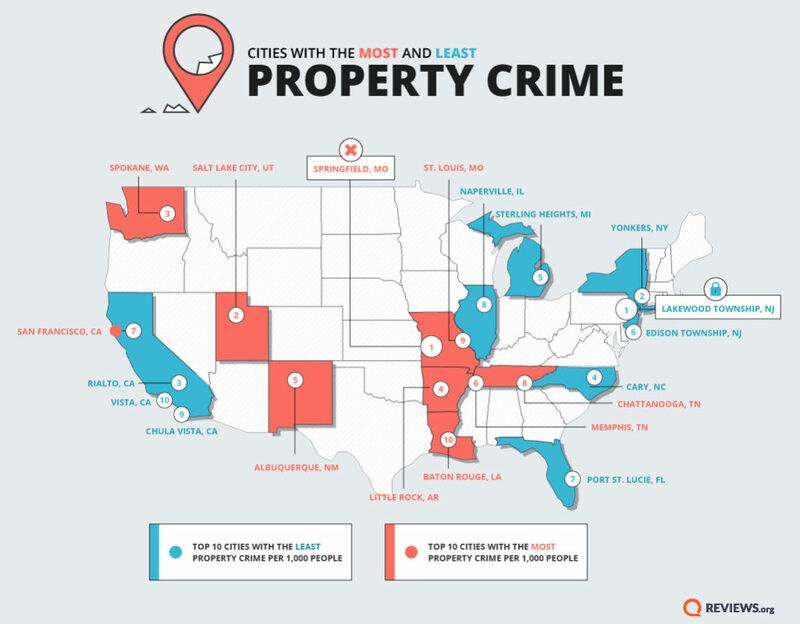 We used FBI crime data from 2017 to find the cities with the most and least property crime. The FBI defines property crime as burglary, larceny, and motor vehicle theft. For this article we didn’t want to focus too much on cars, so we excluded motor vehicle-related crime to find the safest and most dangerous cities to own houses, as well as rental, vacation, and investment properties. We also excluded any city with a population under 100,000, because that’s how the US Census Bureau defines a metropolitan area. If you’re wondering why we used 2017 data instead of 2018, it’s because 2017 is the most recent year for which the FBI has complete information. We’ll let you know how 2018 stacked up when we have the details! We compiled these same lists last year using 2016 FBI data, and there have been a few changes since then. SLC can sleep a little bit safer. Salt Lake City, Utah dropped from the #1 most dangerous city for property crime down to #2. SLC’s property crime rate fell from 75.4 to 70.82. Springfield, Missouri rose up from #2 to snag that #1 title for the most dangerous city. Springfield went from having 74.88 property crimes per 1,000 people to having 76.86. That’s even higher than Salt Lake City’s 2016 rate! Good news for Pueblo, Colorado—it skipped this year’s list entirely. Pueblo’s no longer the 10th most dangerous city for property crime. In our list last year, Pueblo had 57.33 property crimes per 1,000 people. According to the FBI’s 2017 report, the rate’s gone down to 50.6. Tucson, Arizona, also gets a pass from the worst cities list this year, since the property crime rate went from 54.95 down to 48 per 1,000 people. We had two Florida cities on our most dangerous cities list last year—Tallahassee and Fort Lauderdale—but Floridians have brought down their crime rates! Property crime numbers dropped in both these cities. Tallahassee’s rate went down from 52.07 down to 45.12, and. Fort Lauderdale’s went from 53.59 to 50.18. Tacoma, Washington, also took its leave from the most dangerous list this year, with a property crime rate that went from 53.02 to 45.97 property crimes per 1,000 people. San Francisco is a newcomer to our most dangerous cities list. Its property crime rate per 1000 people went from 48.18 to 56.19. Rialto, California gets kudos for moving even higher up our safest cities list—it shot up from the #8 spot to the #3 spot. Rialto went from 11.15 property crimes per 1,000 people down to 10.3. Chula Vista and Vista, California, took the #9 and #10 spots from their fellow Cali cities Simi Valley and Santa Clarita. Simi Valley dropped down to #23 on the list and Santa Clarita sank to #14. Allen, Texas, lost its top-10 spot on our safest cities list this year. In its place is Port St. Lucie, Florida. While Allen went from 10.79 to 11.95 property crimes per 1,000 people, Port St. Lucie improved its rate—it went from 12.8 down to 10.81. Did your city make one of our lists? How do you feel about property crime in your area? Do you think installing a security system helps prevent property crime? Let us know your thoughts in the comments! I am curious as to what years FBI data you were using. West Valley City Utah has a population of 129,000+ as of the 2010 census, Provo has a population of 115,000+ (again as of 2010 census) and West Jordan Utah has a population of 103,000+. Those three cities all have populations over 100,000 (your stated thresh hold) and yet you say that Salt Lake City is the “only” city in Utah to meet that thresh hold. PS – no I do not live in SLC.